Microsoft’s console overhaul is packed with interesting ideas for video viewing, but it doesn’t get the basics right. Microsoft is preparing to introduce a major revamp to its Xbox One software, and they've made a preview version available to garner feedback about the changes. The company has made lots of positive user-interface improvements on the gaming side, but I can’t say the same about the video side. To its credit, Microsoft is doing lots of great stuff for cord cutters on the Xbox One, including an official over-the-air TV tuner, a broadcast DVR (coming next year), and a solid app selection. But the so-called New Xbox Experience makes navigating these TV features needlessly complicated. 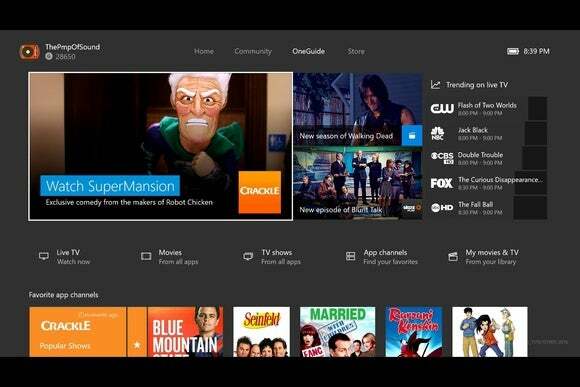 With the New Xbox Experience, the home screen has a brand-new section called OneGuide, which tries to serve as the hub for both live and on-demand TV viewing. But it doesn’t make a great first impression, bombarding you with information of dubious value. Promotional material dominates the top section. As I write this, one large tile hypes a teaser video for an exclusive series on Crackle, while another links to a Walking Dead trailer on YouTube. While it’s great that OneGuide can pull content from third-party apps, I don’t want to see tiny promo clips when I’m settling in to watch TV. Provided you have a TV tuner or cable box hooked up to the Xbox, you’ll see a handful of “trending” live-TV shows next to these promotional tiles. This is actually a clever idea, and deserves far more screen space than the promotional tiles next to it. It’s a smart idea in theory; but in practice, too few apps support this feature: Netflix, Amazon Prime, and HBO Go are all notably absent. Out of the 52 video apps on Xbox One, I count 13 that offer an App Channel. And if none of these channels interest you, you’re stuck having them on the home screen anyway. Meanwhile, Microsoft neglected the one thing that might actually be useful in this section: There’s no master list of video apps. If you just want to jump into Hulu or Netflix, the OneGuide won’t help you. Instead, you must return to the Home section and scroll to the bottom of the screen, where you’ll find your pinned apps. If you haven’t pinned your favorite video apps here, you must then open the “My games & apps” menu to find them. As I mentioned earlier, the OneGuide section of the home screen is merely a front for the full-blown OneGuide app, where you can watch live TV and find on-demand content from multiple sources. 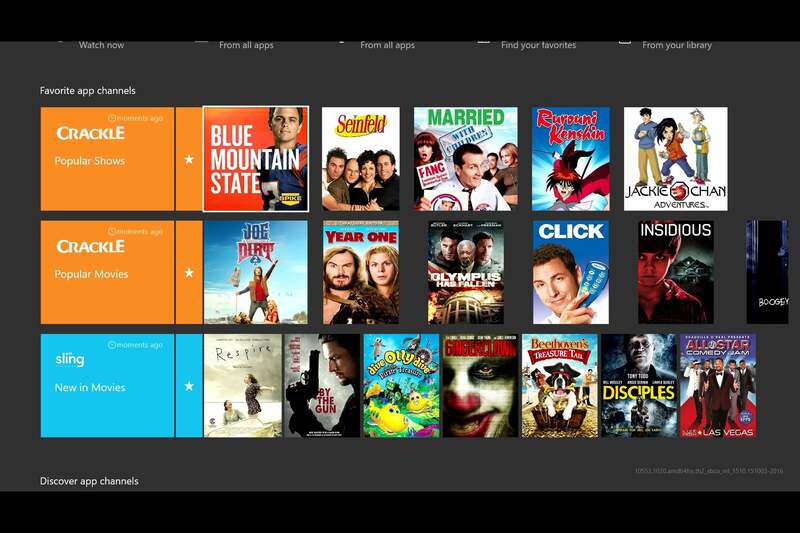 I see what Microsoft is shooting for here: Instead of making you bounce between a half-dozen apps to find a movie or TV show, OneGuide is supposed to tie everything together. But for anything besides watching live cable or over-the-air TV, OneGuide ends up feeling more burdensome than just going directly to the app you want. The “TV Shows” and “Movies” sections, for instance, include a smattering of tiles for new and popular content. But most of these tiles don’t tell you where the video is coming from. The only way to find out is to make a selection, which takes you to a listing in Microsoft’s video store. From here, a small “More providers” button shows alternative sources for the video you’ve chosen. This feels like entirely too much work, especially since there’s no guarantee the content will be available on the apps you have. The OneGuide app also has some redundancies that add to the confusion. 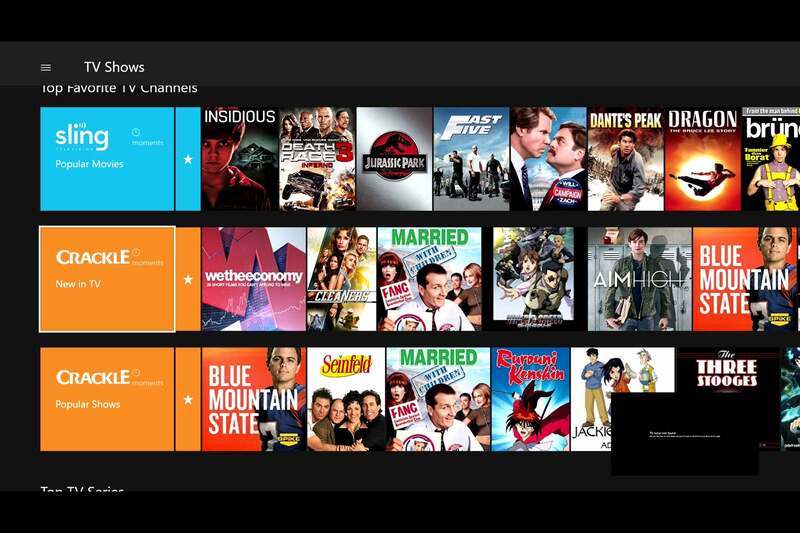 Both the TV Shows and Movies sections include lists of App Channels, despite the existence of a dedicated App Channels section elsewhere in the app. All of these Channels look exactly like the ones on the home screen, so it’s easy to feel lost. Rework the top of the OneGuide menu, with more emphasis on full-length content and live programming, instead of promotional materials. 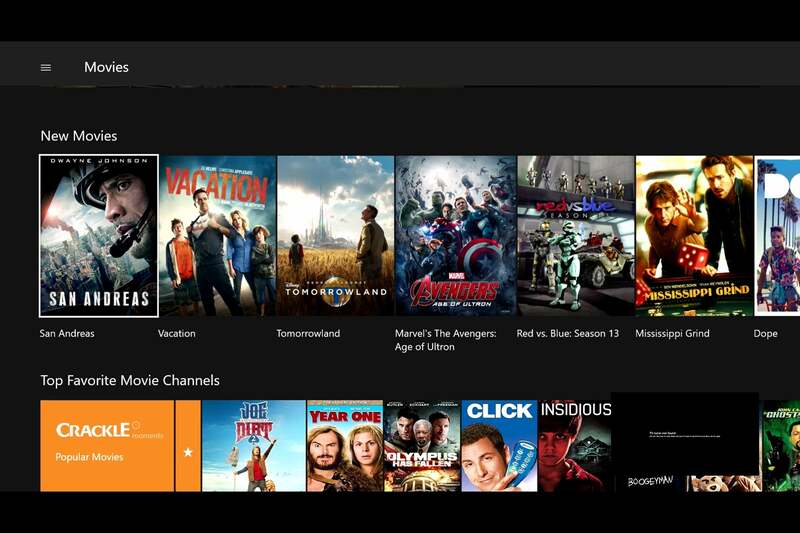 Use the rest of the home screen to provide easy access to video apps such as Netflix, Amazon Prime, and Hulu. 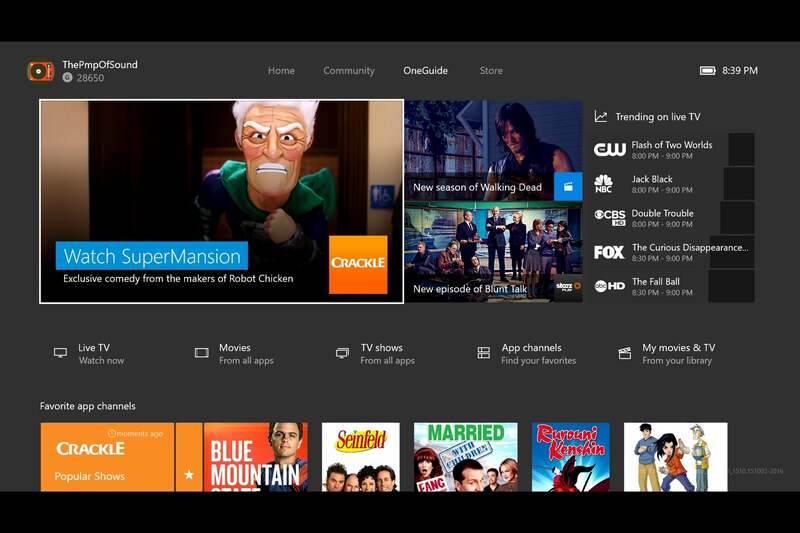 Eliminate “App Channels” from the home screen and remove its dedicated section in the OneGuide app. But preserve the concept of surfacing content from individual apps. Some of this content could be teased at the top of the home screen, while the rest would live in the “TV” and “Movies” sections of the OneGuide app. In the OneGuide app, only show content tiles from apps the user has installed, and include some direct notice of which apps the content is coming from. Don’t show live TV shows in the “TV” and “Movies” sections of the OneGuide app, which should be dedicated to on-demand content only. 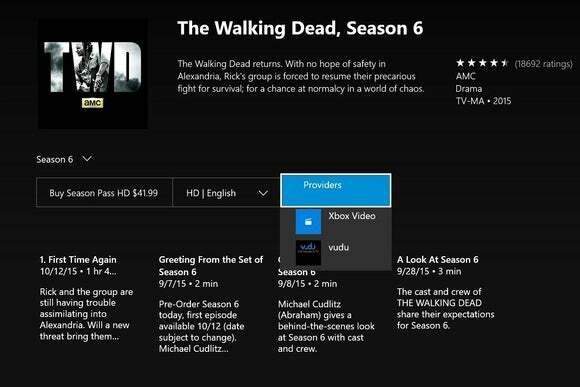 As the name suggests, OneGuide is supposed to be your one-stop shop for video on the Xbox One. But right now, it’s too ambitious for its own good. To succeed as a starting point for video viewing, it needs to be much simpler.